Where can I learn more about Helicopter Heritage? How does one begin the task of researching the early history of helicopters and other rotorcraft in Canada? When I began back in the 1970s, there were few books on helicopters worldwide with next to nothing on Canadian rotary-wing history. As a Forest Ranger with the Alberta Forest Service, I was taking photographs and slides of the various helicopters I saw when on forest fires and other forestry projects since the late 1960s. The Forest Service had a fleet of three Bell 47J helicopters used mainly on wildfire related work. 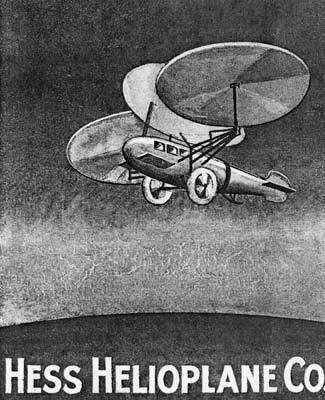 This began to change with the publication of the pictorial history book "Aviation in Canada"- McGraw Hill Ryerson Ltd. by aviation author Larry Milberry, Toronto Ontario during 1979. For the first time Milberry devoted a 21 page chapter "Rotary Winged Aircraft" that dealt with early Canadian rotorcraft history. This was a starting point for me. I finally was able to see how helicopters and other rotary wing aircraft played a role in Canada's aviation history. In the early 1980s I sent a letter to Transport Canada, Ottawa Ontario inquiring about when helicopters first came on the civil aircraft register. They invited me to come down to their facilities and go through their early registers dust and all. That is all I needed and as the result I made numerous visits to Ottawa. I painstakingly recorded and documented all the helicopters and other rotorcraft in a personal register from the 1930 up to the mid 1960s (basically the piston age.) I also made use of the National Archives library to go through more recent civil aircraft registers. The data is now summarized on an early spreadsheet. I was able to visit the National Research Council (NRC) library and copy Canadian helicopter articles from helicopter related magazines in their collection. This included Canadian Aviation, Aircraft and Airports, U.S. magazine American Helicopter and other magazines with helicopter articles. It was on one of my visits that I ran into Ken Swartz who was doing research at the National Archives and library too. I had corresponded with Swartz and Brent Wallace from Vancouver BC in the past trading helicopter slides with them since the 1970s. This was the first time that I had met Ken Swartz in person. We have been friends ever since. Ken informed me that one could actually review old helicopter files stored in the Ottawa National Archives. This was a real breakthrough for me. I ended up spending my vacation time for the next few years visiting the archives in Ottawa researching most of the stored helicopter files starting with the Bell Model 47B-3 rotary wing aircraft that were imported in 1947. I summarized the majority of the helicopters up to the mid 1960s as to dates imported, model upgrades, owners, accidents, and where they were sold and to what country. One say things come in threes. In this case, they are RIGHT. While carrying out my research in Ottawa, I was told of several helicopter people still living in the area. This was my start at carrying out interviews with early pioneering helicopter pilots and engineers. Some of the first people that I interviewed were Nelson Bentley an early helicopter pilot with Spartan Air Service in the early 1950s and Tom Cannon with Skyrotors. I have travelled all over Canada since interviewing many other Canadian rotary wing pioneers both civil and military. I have interviewed and recorded several hundred or so helicopter individuals to date along with Ken Swartz talking to others. Even today in 2012, my interviews have not stopped as someone new comes along in the helicopter industry. I have attended the annual helicopter conventions HAI (Helicopter Association International) Heli Expo continuously since 1980 in the U.S.A. This has been an excellent venue to meet helicopter pioneers. I have amassed a large collection of recorded interviews, early helicopter photographs, helicopter company files and reports, helicopter related brochures and manuals, and helicopter books. All this material helps me in my writing assignments and helicopter articles. It is hard to believe that I have been collecting helicopter material for over 40 years now thus preserving Canadian helicopter heritage. 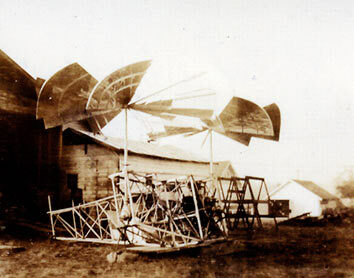 The John Hess Helioplane in New Westminster, B.C.